In an otherwise sedate affair, Dennis, who began from fourth place was handed a slice of luck when the ART Grand Prix car of pole sitter Nyck de Vries failed to start on the grid following the formation lap. With de Vries missing and forced to start from the pit lane when the lights did go out, second placed Matt Parry (Koiranen GP) made a relatively poor start was forced into a staunch defence from the advances of Dennis and third place starter, Trident’s Antonio Fuoco. With Dennis remaining in third place, he was unable to keep up with the pace of the two cars ahead, he was instead forced to look into his mirrors at the advances from the ART Grand Prix duo of Nirei Fukushima and Charles Leclerc. With the Hungaroring circuit layout of high-speed corners preventing overtaking opportunities, particularly with GP3 cars which do not possess a Drag Reduction System, Dennis performed well to pull away from Fukusumi and Leclerc by over half a second. In the final laps, overtaking manoeuvres were at a premium, with the top three separated, and Dennis extending his advantage further to 1.6 seconds by the flag, banking the fastest lap of the race in the process. 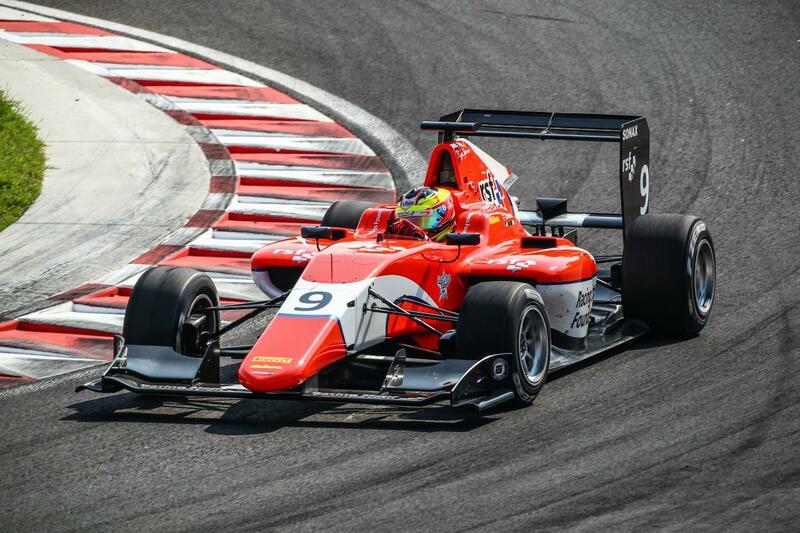 Parry scored his maiden GP3 Series victory ahead of Fuoco with Dennis bagging his first championship podium. “I’m glad I’ve finally grabbed that podium in a clean race too,” Dennis said. “It’s generally quite difficult to overtake for all drivers due to the circuit characteristics, so it’s all down to getting your position on the first lap. Nyck’s car not starting benefitted me of course. “In the opening half of the race the two ART GP cars were strong. I managed my tyres in those early stages and the pace was therefore good at the end which was demonstrated with the fastest lap.